This love passed from a mother to her sons forged a dynamic team of business owners, who all want to make a difference in their community. Carlos, 32, had his first interaction with mixed arcades and LAN gaming centers on a visit to Japan in 2005. Reflecting on his experience in the country, he would explore other lounges in the United States. After years of brainstorming, he formulated a plan with his brothers to develop their own lounge in Chicago. “This is the place that I would have loved to have when I was growing up [and] would love to go to, if it was available to me,” Carlos said. Launching a gaming lounge in a city that is relatively new to esports culture came with challenges. 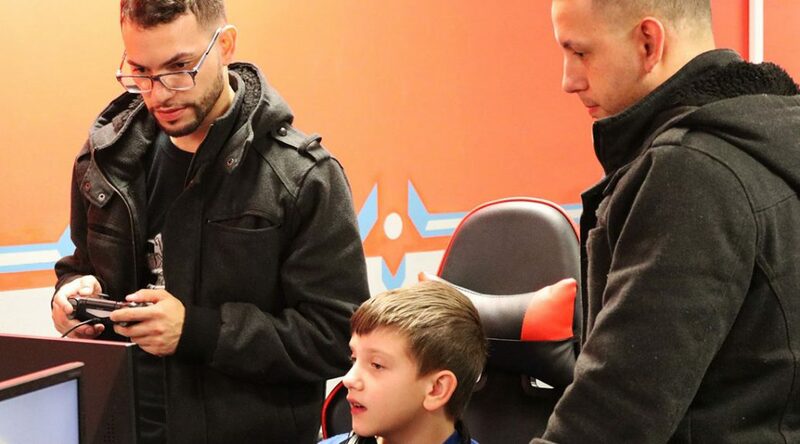 To create this type of climate at the lounge, the brothers, who are currently the only employees, host weekly tournaments and events, such as Super Saturday for fighting games. Party game nights are held every Friday and RAID Tuesdays are in partnership with the neighboring Wingstop. The facility can also be rented to host birthdays and events. In spite of the challenges, Francisco, Carlos and their brothers’ long-term mission has been much more than just playing games. “All four of us see the same image and the same direction when it comes to gaming. We want everyone to help run the [Raid Gaming Lounge] community,” Francisco said. The Raid Gaming Lounge is open daily from noon to midnight.